Today I visited the fourth Bazaarts Exclusive at Technopolis in Athens, held in the buildings Konstantinos Kavafis and Takis Papatsonis. 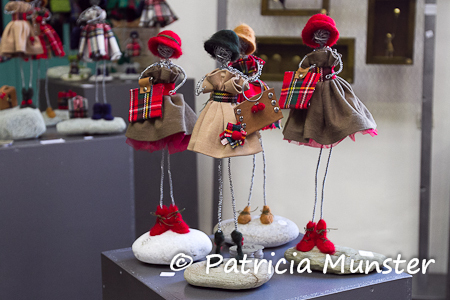 More than 150 artists are exhibiting paintings, sculptures, photos, mosaics and more. 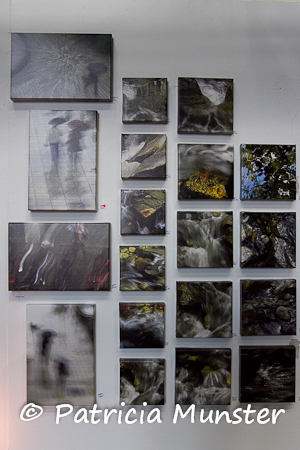 Here a glimpse of the exhibition. 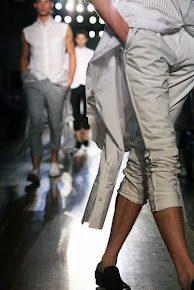 Impressed by the work of Vilma Valasi, I added a post with only her works, click here to see it. 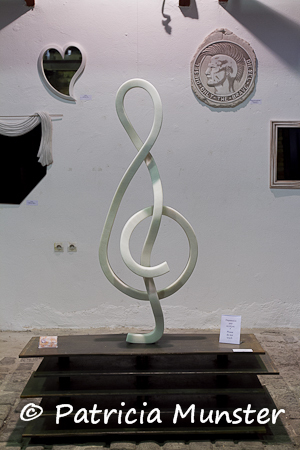 Each sculpture is unique and painted by Andreas Psarakos, he used several types of wire, plaster and papier mâché. 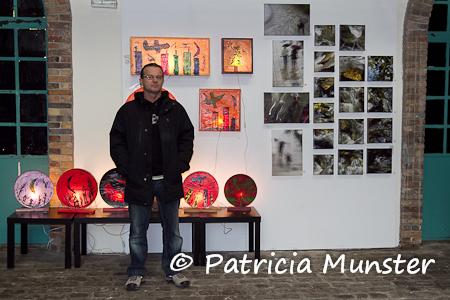 Vasilis Dagas with his works of art, see my post on him by clicking here. Loved the work but couldn't find the name of the artist. If you know let me know and I will put it! 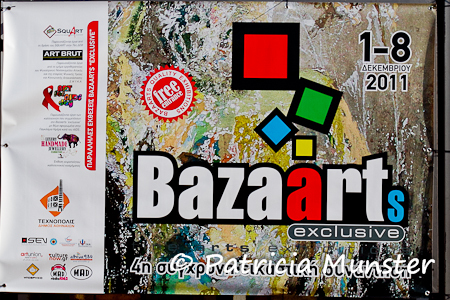 During Bazaarts Exclusive, there are organized several parallel events of artistic and cultural interest.The purpose of each event is to present a wide variety of artists, arts and techniques, offering the opportunity for young and established artists to present their work, exposing their creations at prices affordable to everyone. There is a parallel exhibition entitled "ART BRUT". For the first time in Greece it is presented to the public by Art Brut. 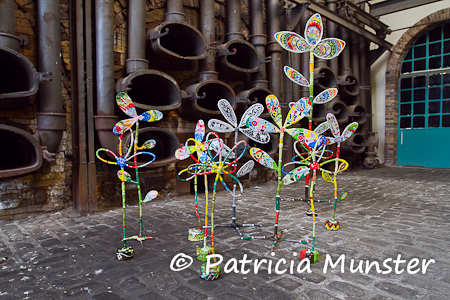 The term Art Brut (raw art, an accurate translation) refers to art created by people who are not trained in art schools and have not been exhibited in museums or galleries. The interest in Art Brut, focuses on projects that people are encapsulated in mental institutions. 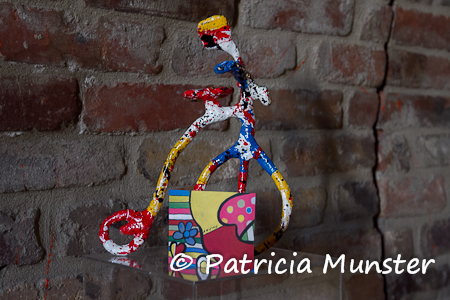 The Bazaarts Exclusive, in the attempt to showcase the work and the work of artists from all population groups, and institutions that hold those people, organized Art Brut, in an effort to inform the public an alternative and highly original art form. Much of the proceeds from the sale of works will go to institutions that will send works to strengthen and continue their work. 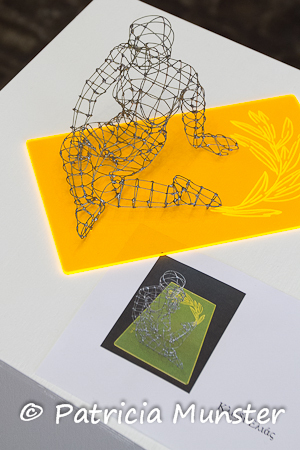 An other parallel exhibition is "Art For Aids Day", a tribute to the World Day against AIDS. December first was the opening day of Bazaarts Exclusive, is World Day against AIDS. For this reason the organization has provided a space where works will be exhibited dedicated to this day.Much of the proceeds from the sale of works will be allocated to institutions engaged in research and fight the virus.